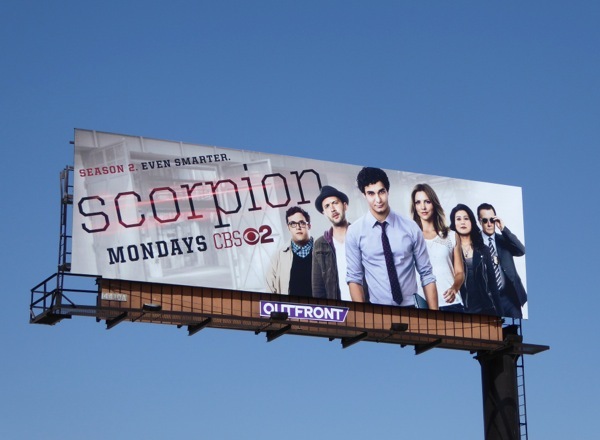 Scorpion may be a series about super-geniuses, but you can tell not many braincells went into designing this season two billboard. 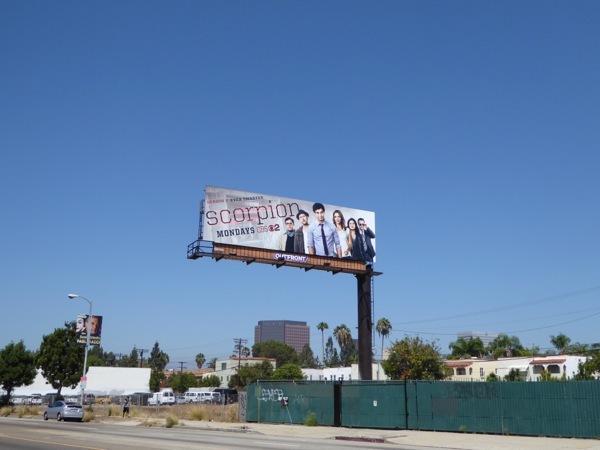 For a show tantalizingly called Scorpion, you'd hope that the sophomore season billboard would be a bit more dynamic than people standing around wearing shirts and ties. What genius thought that was a good idea? 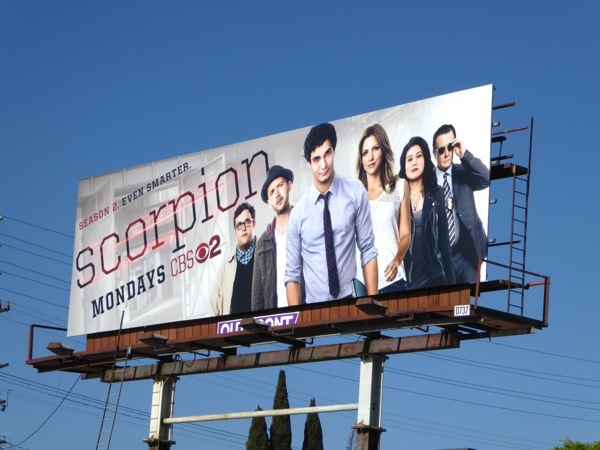 This season expect 'Team Scorpion' to face tougher challenges,more dire situations and higher stakes, which means they'll all need to be smarter. 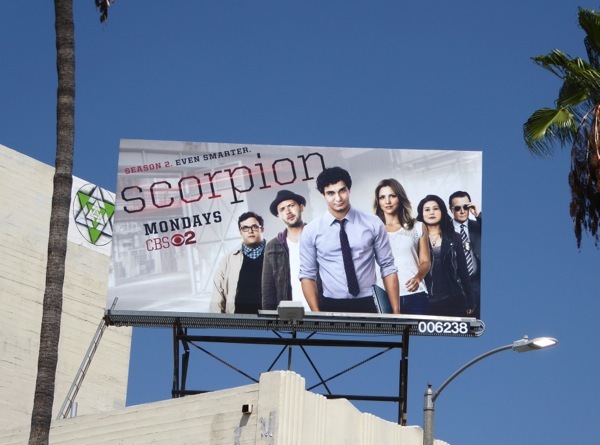 Meanwhile computer expert 'Walter O'Brien' (played by Elyes Gabel) face the consequences of his Ferrari stunt at the end of last season and that kiss with 'Paige' (Katharine McPhee). 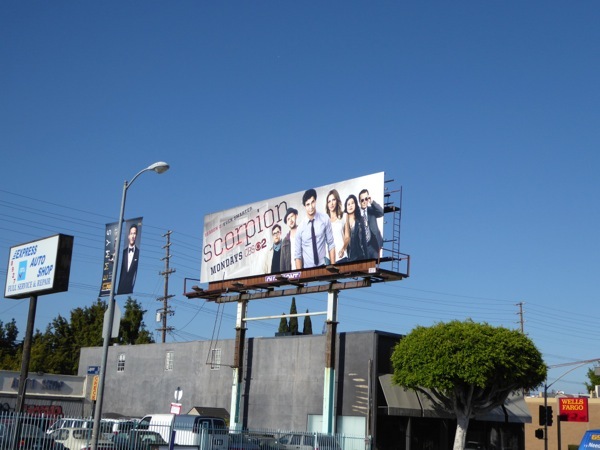 These second season billboards were first spied along La Cienega Boulevard on August 19, then later along Fairfax Avenue and Pico Boulevard on August 23, 2015. 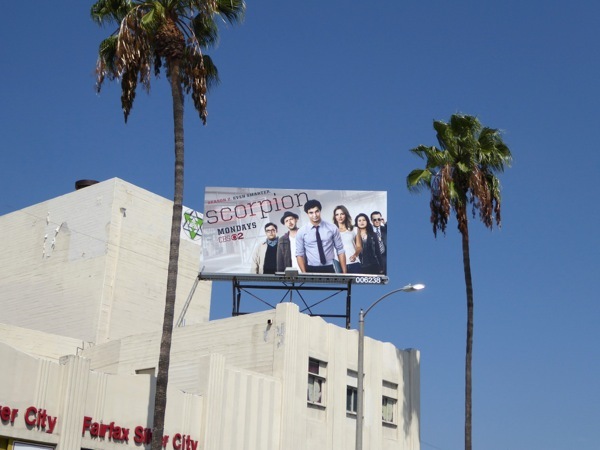 Fans of the show should also check out all these Scorpion season one billboards that filled the skyline of L.A. this time last year. Saving the world is a tough job, but someone has to do it.